I've been working super hard to complete my school's yearbook. I plan to send it to the printer on Monday. I love it, but it is exhausting at the same time. I hope that my images , more Lake Eola, will speak for themselves. Brilliant shots. Really impressed with the light. 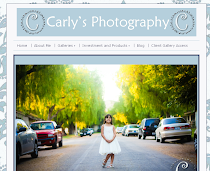 Gorgeous captures, Carly! Wonderful colors! Thanks for sharing the beauty! Have a great weekend! THAT´S TEH ANTURE!THAT´S THE PHOTOGRAPHY. Wonderful combinations of silhouettes, reflections and sky colours! Beautiful photos! Yes...they do! Absolutely awesome shots! My daughter teaches 5th grade and is in charge of yearbook at her school. She sent all of it to the printer a week or so ago and now feels like a "free bird." That job is massive and there is never enough people on staff to lend a hand, it seems. So, Ms. Free-bird...I hope you really enjoy your weekend! Yes, it's beautiful! Happy weekend! Fantastic, Carly, and they do indeed speak for themselves! Love those night time captures! Have a wonderful weekend! the colours are brilliant. but that blue, is shockingly brilliant. Absolutely gorgeous. Wow. and here's me, not usually at a loss for words!!! Ah, these are just stunning. Beautiful. Totally beautiful. I love your photos. These photos are excellent. The contrasting and silhouettes look wonderful.